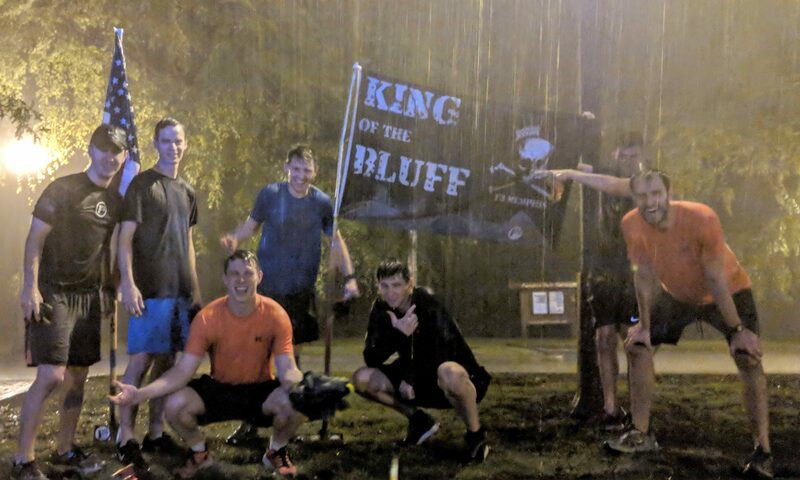 PAX ran 0.3 miles, then performed 50 LBCs, then ran 0.4 miles, then 50 LBCs, then ran 0.4 miles, then 50 LBCs, then PAX ran 0.4 miles, ending at the flags. 200 total LBCs. PAX lined up and performed 1 squat, then ran to cones 30 yards away and performed 20 merkins. PAX then ran back to start and performed 2 squats, then ran back to cones and performed 19 merkins. Rinsed and repeated with declining number of merkins and increasing number of squats until 20 squats and 1 merkin were complete. 210 merkins and 210 squats completed. Not planned. Spoke from the heart on taking time to reset. Even though we focus to #getright before we commit to BC and other activities, sometimes we must take the time to go back to the basics every once in awhile and reset. We ran some and we worked some. Next PostNext Hard Things Got Did.